Did you know Americans will spend over $6 billion in Christmas decorations this year? Everywhere you go we create the perfect Christmas scenes, but did you know that the first Christmas was far from the decorations? 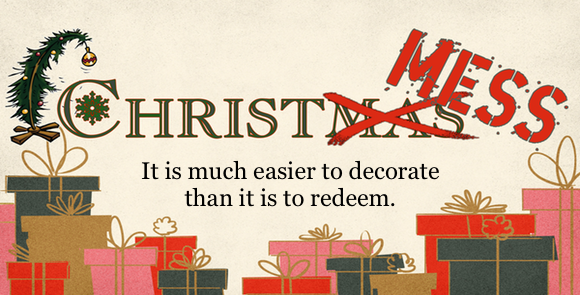 Christ did not come to decorate, Jesus came to redeem. But redemption is hard work. It requires a difficult choice and a submissive life. Covering up is much easier than opening up. Decorations (Christmess Series) from Liberty Baptist Church on Vimeo.